If feet were meant to be wet, mankind would have never invented shoes in the first place. But so many pairs can't take tough weather, and leave your feet wet and cold in the face of ugly conditions. These Reebok Men's RB4555 Tiahawk Waterproof EH Composite Toe Hiki ... (see full details) (see specifications) #RBKRB4555. If feet were meant to be wet, mankind would have never invented shoes in the first place. But so many pairs can't take tough weather, and leave your feet wet and cold in the face of ugly conditions. These Reebok Men's RB4555 Tiahawk Waterproof EH Composite Toe Hiking Boots are made for weather, no matter how ugly it gets out there. The all-black design of these Reebok hiking boots is styled with bold red accents on the soles to make the entire design pop. The black uppers are constructed with water-resisting leather. Leather is naturally pliant and soft, creating flexible comfort for every step you take. Leather is durable, too, especially in water-resisting construction. It repels wetness and wind, and it makes it easy to clean up these Reebok Tiahawk boots after a hard day’s work. The StarGuard membranes used for these waterproof boots comfort for your feet and keep them dry. These membranes are so thin and light, you won't know they're there. You will know that you're dry, and comfortable, despite the rain and wet weather. Tailex fabric was used to create the moisture-wicking lining in these composite toe boots. The lightweight material takes care of another kind of wetness, gently pulling sweat away from your feet so you stay dry. It’s not just wet weather that might threaten your comfort. So protect yourself the right way with these Reebok safety boots. And did we mention these lightweight, non-metallic boots are made for comfort. The cushioning inserts are made with lightweight EVA foam with integrated sponge rubber wedges. The wedges absorb sock in the heel area, where feet tend to hit the group the hardest. Remove these inserts any time for easy cleaning and maintenance. The outsoles are made in a dual-density design to give you two layers of soft shock-absorption. A midsole layer made with EVA foam creates lightweight softness inside these composite toe boots, while the rubber bottoms are made for any outdoor conditions. The traction bottoms are built with external shank stabilizers to keep every step a little steadier. Heel airbags add a core of air to soften step impact. The slip-resistant soles are also EH rated, which means they protect you against electrical hazards. They absorb dangerous electricity to keep you safe around open circuits and other dangers in these Reebok boots. Non-metallic composite toes, ASTM F2413-05 rated, complete the 100% security-friendly design of these slip-resistant boots. The non-metallic construction of these black boots allows you to pass through checkpoints without a ton of hassles. Reebok RB4555 Tiahawk Waterproof EH Composite Toe Men's Boots protect you from bad weather, heavy steps, metal detectors, pretty much anything that might slow down your stride. These boots are good quality, very comfortable, lightweight, and have a simple but stylish look. I no longer have to wear super heavy duty boots so opt for comfort and style when selecting my next pair of boots. 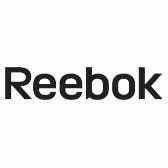 I have purchased two pair Reebok boots and the old is still in as good of condition as the new, so I would recommend these. These are very comfortable if you are on your feet all day long and do a lot of walking. The light weight will keep your legs from getting tired. I will be ordering another pair, but the pair I have now is still in great shape even after a year of regular wear. If you buy these your feet and legs will be happy. Good boots. Third pair. The only thing I wish Reebok wolud do is change the sole pattern to a bigger flat nobby sort of like a tire tread. This would help the sole to last longer. Good boot other wise. Bought these boots while they were still made by Converse, I have worn them over 1 1/2 years and just now starting to deteriorate. I am on my feet 12 hour days and these boots keep me comfortable and dry when needed. I am ordering my second pair I can only hope they last as long as my previous pair. I like the style of this Reebok boot and the overall look to it. The sole really has a good grip on slippery surfaces to keep you from falling. It's comfortable to wear but the insole needs more cushion in the middle of the boot. Good for hiking as long as it won't be used to walk more than three hours at a time but overall I like it. Reebok Boots: Men's RB4555 Tiahawk Waterproof EH Composite Toe Hiking Boots is being added to your cart.